The Anatolian Weekend Schools project by Turkey exemplifies the work that many European countries have done for their own citizens in the world. Anatolian Weekend Schools established throughout Europe by the Presidency for Turks Abroad and Related Communities (YTB) serve as a tool for the Turkish diaspora on the continent to preserve their cultural identity and get to know each other even better. Turkey continues to implement community projects for Turks abroad to help them actively engage in the daily life where they live. While Anatolian Weekend Schools, a similar project to those of European states, seeks to lend a helping hand to the Turkish diaspora, some unjust criticism has been voiced. About 6.5 million Turkish citizens now live in Europe. As a result of labor agreements signed with various European countries in the 1960s, Turkish immigrants who began to live in these countries have become an important part of the communities where they live in many parts of the world since then. The Turkish diaspora also plays an important role in relations between these countries and Turkey. Among the countries where many Turkish citizens live are Germany, France, Holland and the United Kingdom. Recently, some voices have spoken against the establishment of Anatolian Weekend Schools. 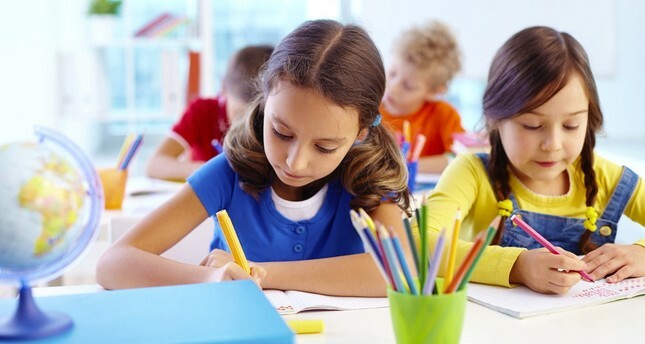 Some Dutch deputies indicated that they are "extremely concerned" due to reports that the Turkish government seeks to establish weekend schools in the Netherlands. Dutch MPs say they are worried in regards to the ramifications of the weekend schools for the Turkish diaspora and want the government to watch for improvements. "It is stressing that President Erdoğan would seem to see Dutch Turks as Turkish subjects, who should hear him out and go to these kinds of schools," said D66 MP Jan Paternotte. "This is yet another case of Turkish obstruction in the lives of Dutch Turks, he added. However, there are numerous examples of such schools all around the world. The Anatolian Weekends Schools project exemplifies the work that many European countries have done for their own citizens in the world. Many countries, such as the Netherlands, Germany, Serbia, Greece, Portugal, Ireland, Israel and China, are intensely active in similar areas. The Netherlands, for example, has been providing native language and culture education to Dutch children and young people living abroad since 1980. The Netherlands recently shared the knowledge that in the 2017-2018 school year, 13,430 Dutch and Flemish children in 198 schools in 118 countries were educated in Dutch language and culture during school hours or outside school hours. Furthermore, since there is a diaspora of 14 million people abroad, Germany operates under the Foreign Culture and Education Policy of the Ministry of Foreign Affairs to protect its mother tongue and cultural ties and keep contacts with Germany alive abroad. Germany, which has 140 schools in 72 countries, reaches both the diaspora and the younger generations in other countries through these schools. The YTB, which was established on April 6, 2010, coordinates activities for Turks living abroad, related communities and the Turkey Scholarship Program and develops services and activities in these fields. With the efforts of the Presidency, relations with citizens living abroad and with sister communities are strengthened and closer economic, social and cultural relations are established.